One of the main groups of trout fly pattern is dry fly. These are tied with a bushy appearance sometimes with a split wing sitting tied in spinner style. A great material used on many patterns is CDC or cul-de-canard or duck’s bottom as it is close to the preen gland on the duck it is very buoyant and good to use on dry flies. As the name suggests the fly is to remain dry so floats on top of the water. Lets look at dry trout fly patterns the differences and how to fish them. 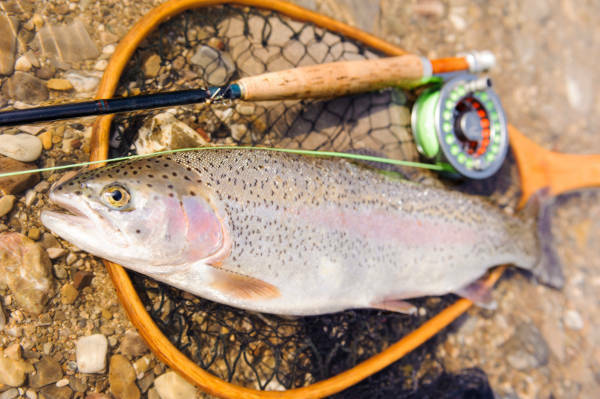 Some fly fishing anglers feel the pinnacle of fly fishing is the visual nature of dry fly fishing. You cast the fly it lands on the water you watch you fly move in the current and then you watch as a trout inhales your fly. This visual nature is very exciting and one that bring the fly fishing angler back again and again to fish. I have to agree it is a brilliant way to fly fish for trout or other species. When fishing dry flies you need to be able to keep the fly on top of the water for it to succeed this can be done with a host of floatant solutions, use of buoyant materials as mentioned and the reduction of drag by the fly line and leader. When done properly you should be able to fish a dry fly through a pool from start to finish without it sinking. Best times to use dry flies are when conditions are fairly calm and insects are hatching. If there is a good hatch its always good to try and match the hatch as fish will be feeding on that hatch. Try and catch a few insects to see the size and color if you have something in your dry fly box close to it then use that as there is a good chance you will get a take. Another time dry flies are good is when aquatic insects are laying eggs in the water. At certain times of the year this can cause a feeding frenzy from the fish if you have dry flies to match these you will have fun days. Windy days can also be fun as insects get blown out of the trees and bushes into the water usually later in the season when daddy long legs are around is a good time. Alder – Resembles a dark sedge which usually hatches in May and June. As its a weak flier it gets blown into the river a lot and easy pickings for the fish. Gold Ribbed Hare’s Ear – A good all round fly one to keep in the box. Works well most of the season as it resembles dark and medium olives from April to August. Pheasant Tail – Another good all round fly one to keep in the box. Trout will take it for a number of spinners, blue winged olive, iron blue, medium olive and lake olive spinner. It can be dressed with a white or grey poly yarn wing to represet spent spinners. Green Peter – When the green peter (Phryganea varia ) hatches occur during dusk in July and August this is the go to fly of many Irish Lough anglers. Its important to note that the wing can be tied flat to the body or traditional upright and split. 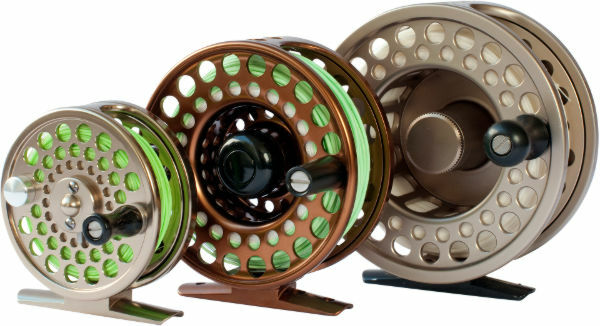 For more great info on dry fly fishing tactics check out these videos by Orvis.